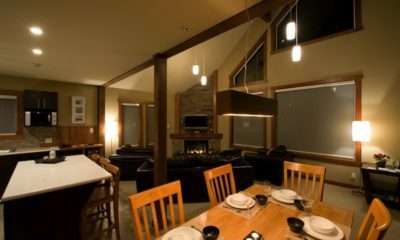 Chalet Luma is a peaceful retreat that is a hit as much with kids as it is with adults. 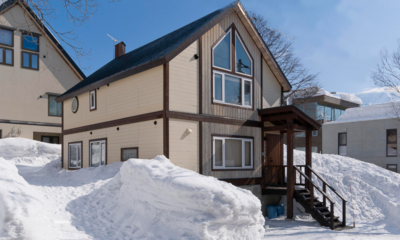 This contemporary chalet is located just a snowball’s throw from Hirafu so it’s not far from the action, but has the added benefit of seclusion and privacy amidst a “winter wonderland” forest setting. 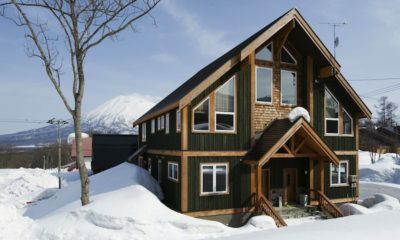 It also enjoys awesome views of the ski hill and Mt Yotei. Set over three stories, the structure cleverly packs plenty of features between its walls, and provides abundant space to relax, retreat and play. 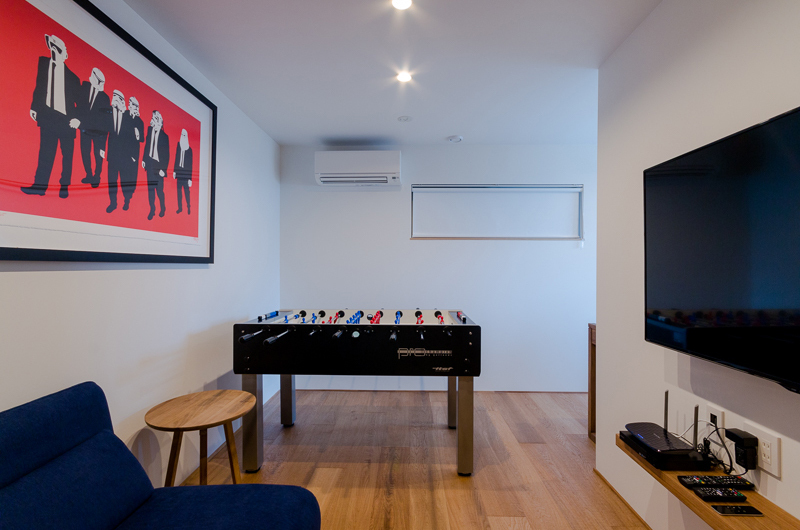 A media room with foosball table on the basement level is a great place for kids to hang out and call their own space, leaving adults to relax with a buffer from the noise on the top floor. 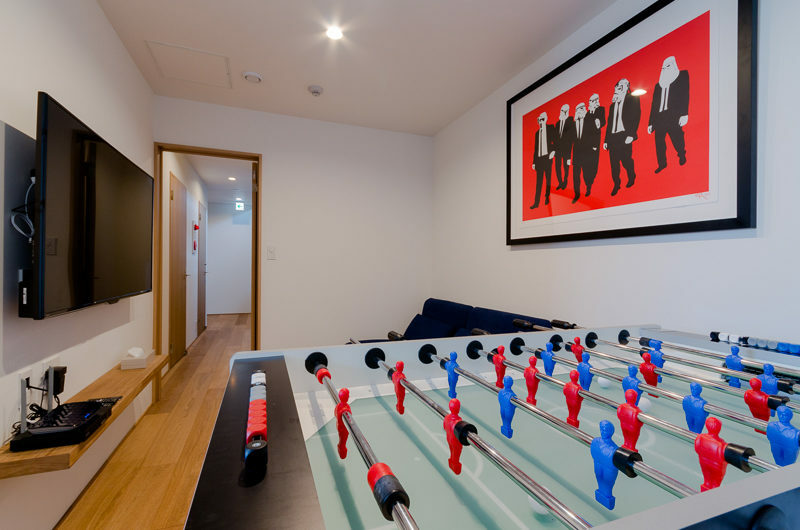 The bedrooms occupy the middle floor, while there is a huge Japanese style bath on the ground floor. 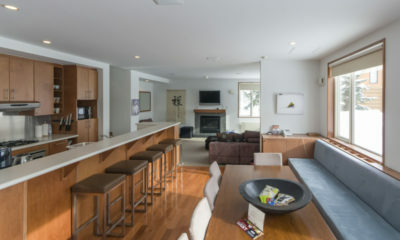 The living/dining/kitchen floor has been beautifully furnished in a contemporary cosmopolitan-meets-alpine style, with beautiful furniture choices and thoughtful layout. 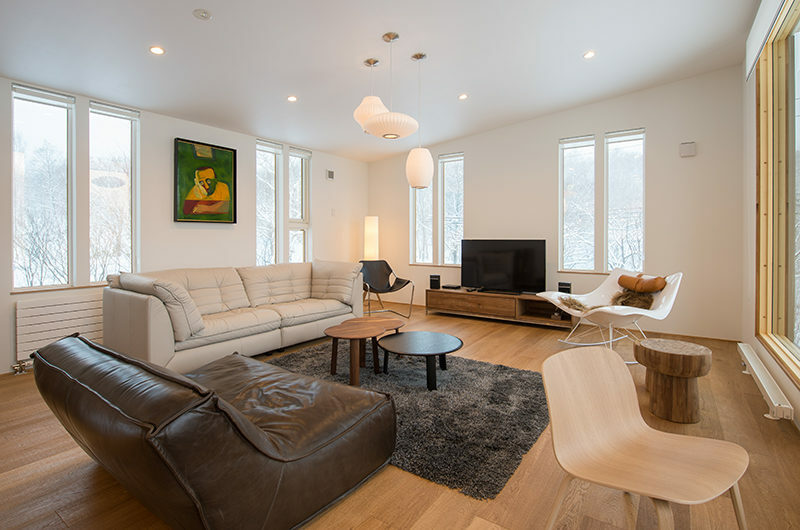 A spacious lounge area offers a variety of couches and chairs for conversation and entertainment, with large windows providing a serene backdrop to the setting. At the other end of the level is a spacious kitchen with island bench and stool seating, adding another area for dining and conversation. 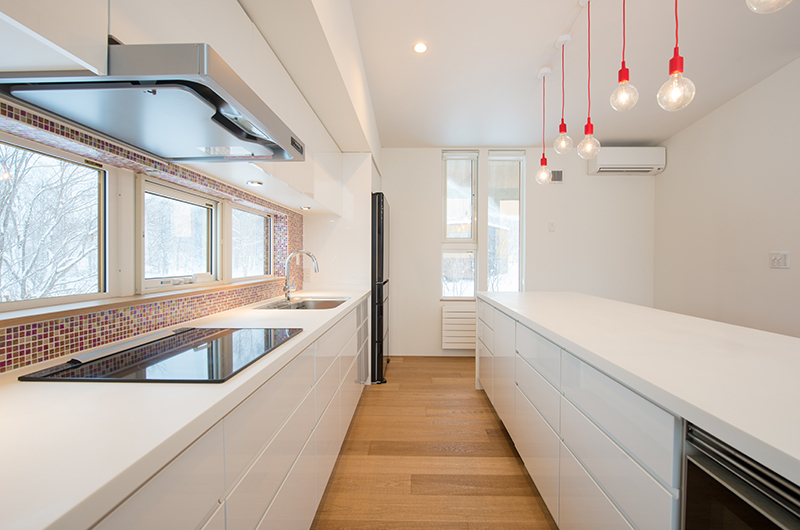 The kitchen features all necessary requirements for cooking, cleaning and entertaining including oven, microwave, stovetop and dishwasher. 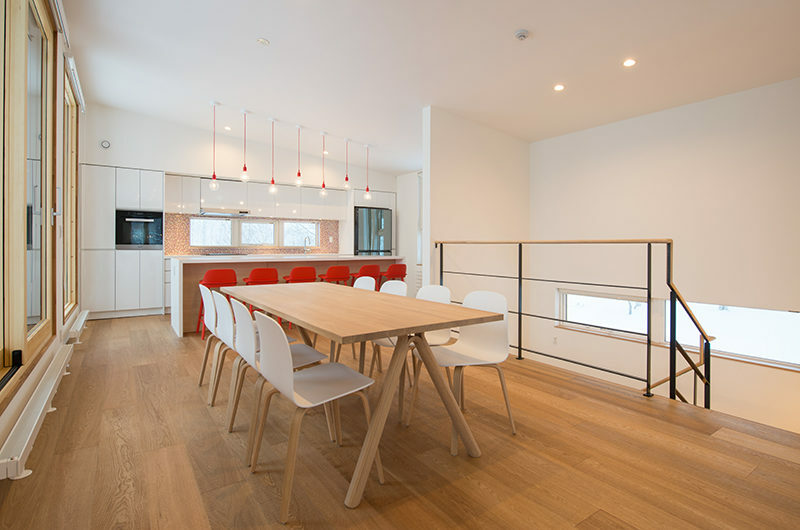 Alongside, the stylish dining table is located between the balcony, and a staircase void maximises the feeling of space which is excellent for aprés afternoons and evenings entertaining. 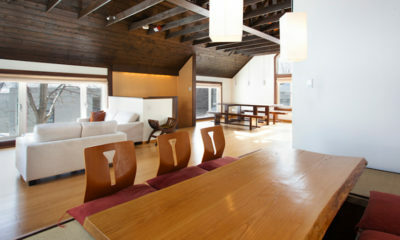 The first master bedroom is located on the second level. 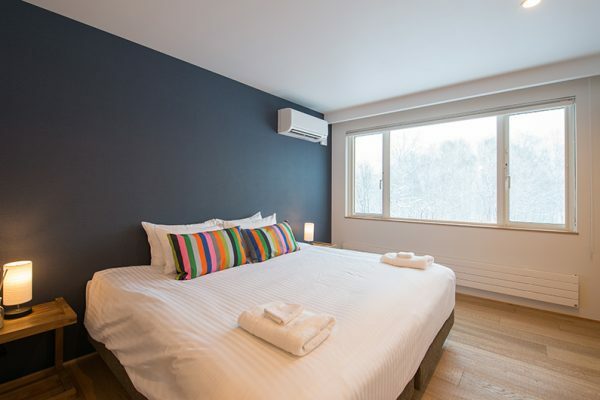 Two guests sleep in either one king double or two single beds, according to needs. There are bedside tables, a closet with hangers and a window looking out towards the forests of Kabayama. En-suite, the bathroom has a shower, toilet and washstand. 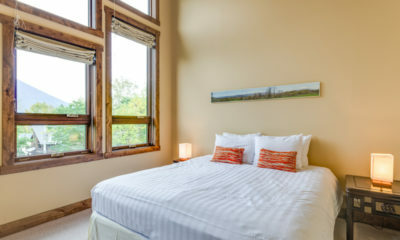 The second bedroom is also a master bedroom with its own en-suite bathroom, located on the second level. Two guests sleep in either one king double or two single beds. A closet for storage and two bedside tables make up the furniture. 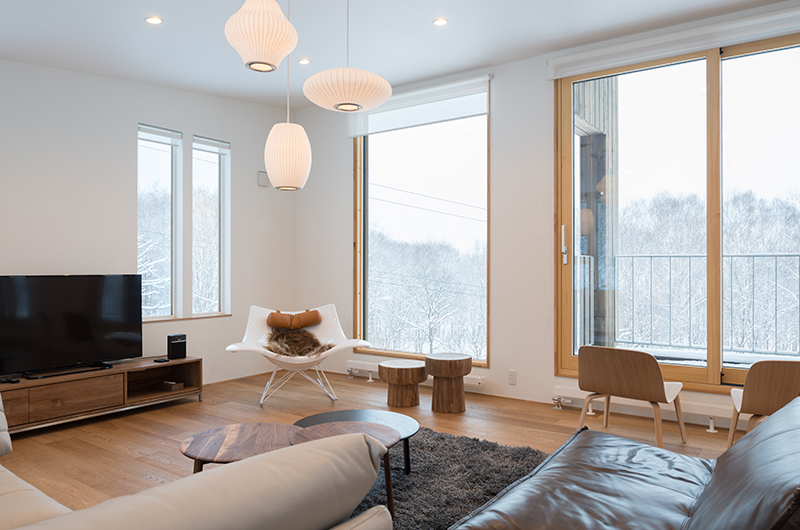 Windows on two sides of the room look out towards Mt Yotei and the forests of Kabayama. 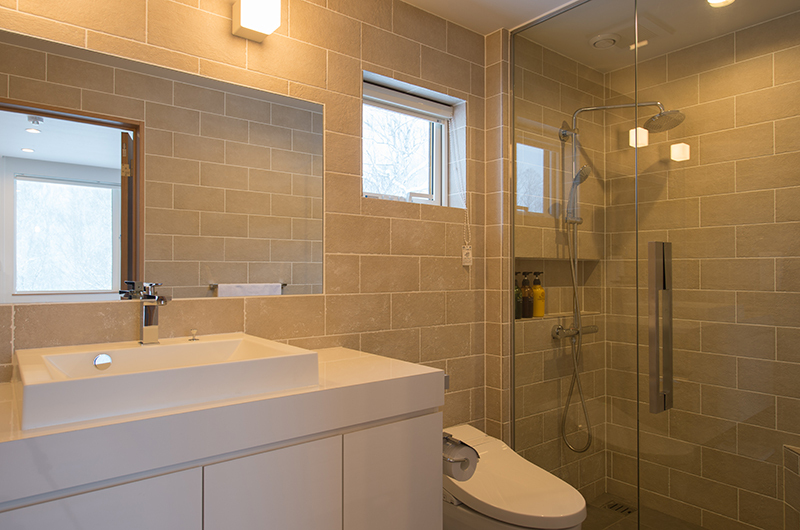 En-suite, the bathroom has its own shower, toilet and washstand. 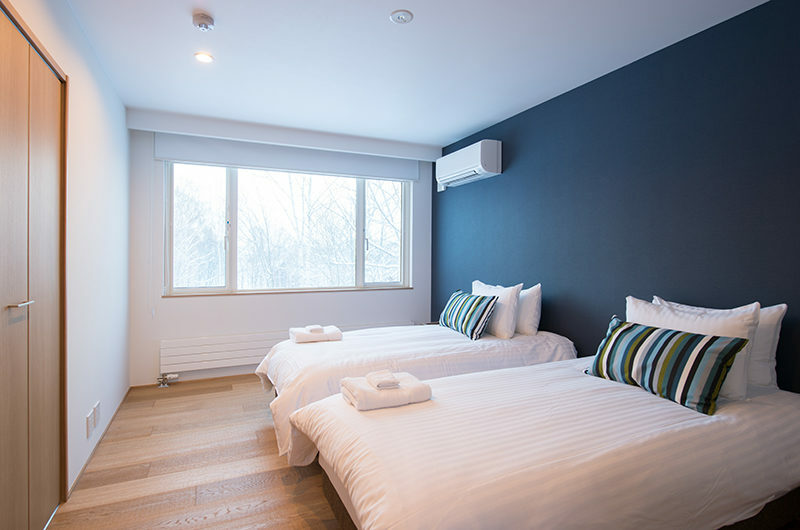 The third and fourth bedrooms are sandwiched between the first and second, all located on the second level to make the most of Mt Yotei views. 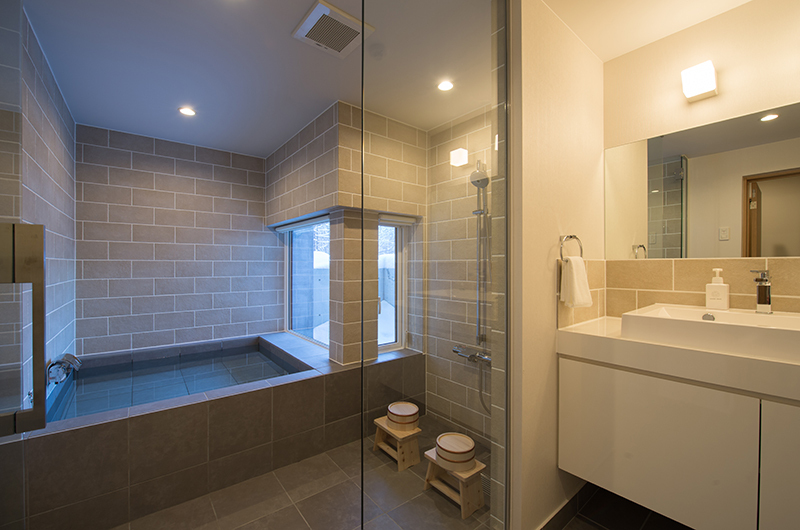 These bedrooms both protrude further than the master bedrooms do in the direction of Mt Yotei and offer clearer views. The second bedroom has a double bed that can be separated into two singles, a closet with hangers for storage and bedside tables. There is a shared guest bedroom, which has its own toilet, shower, and washstand. 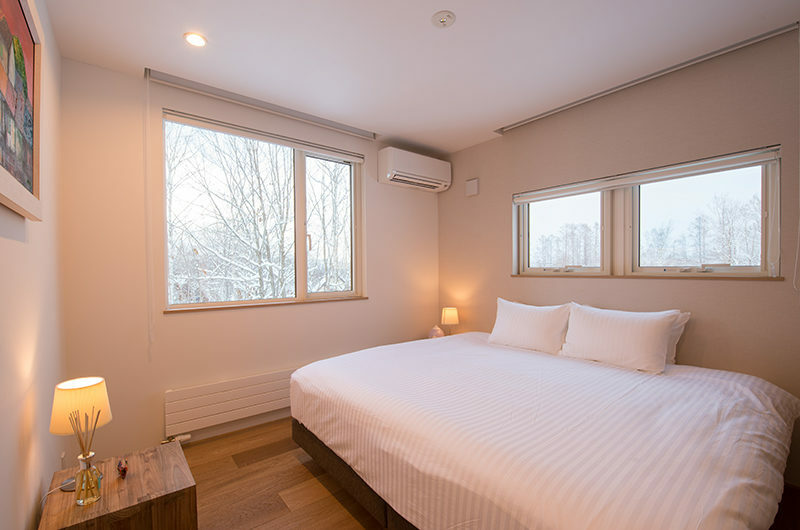 The fourth bedroom is next door to the third and offers uninterrupted views of Mt Yotei. The bedroom has a king double bed that can be separated into two singles, a closet with hangers for storage and bedside tables. 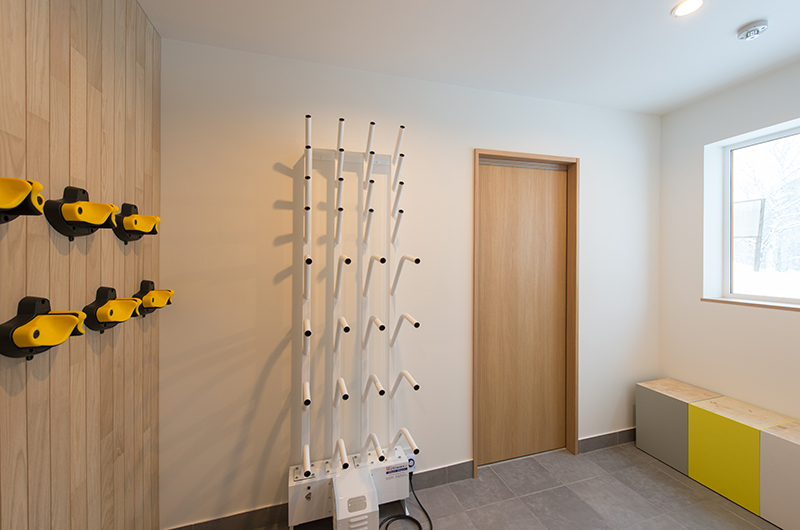 The third bedroom doesn’t have its own en-suite, but instead, a shared guest bedroom is nearby with its own toilet, shower, and washstand. 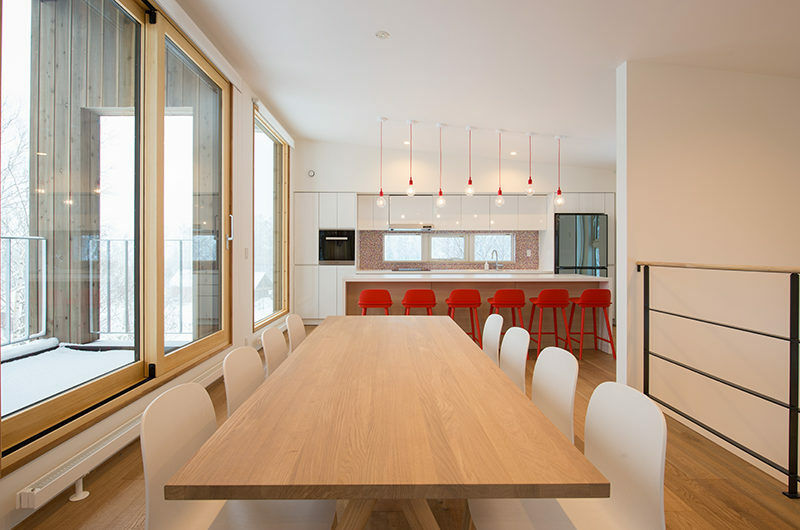 For families, Chalet Luma’s secluded location high up in the forest and away from through-traffic is excellent for kids to get outside and make the most of their time in the snow. For those who want to get outdoors, the surrounding forest and nearby snow-covered golf course offer endless landscape to explore. The free Hirafu shuttle doesn’t pass by out here so it’s a solid 15-minute walk to the lifts. 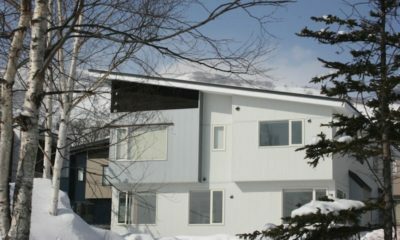 The Niseko shuttle between resorts also passes by on the main road just a short walk from the house. This is free with an all-mountain lift pass. But the best idea is probably to rent a car for ultimate mobility. 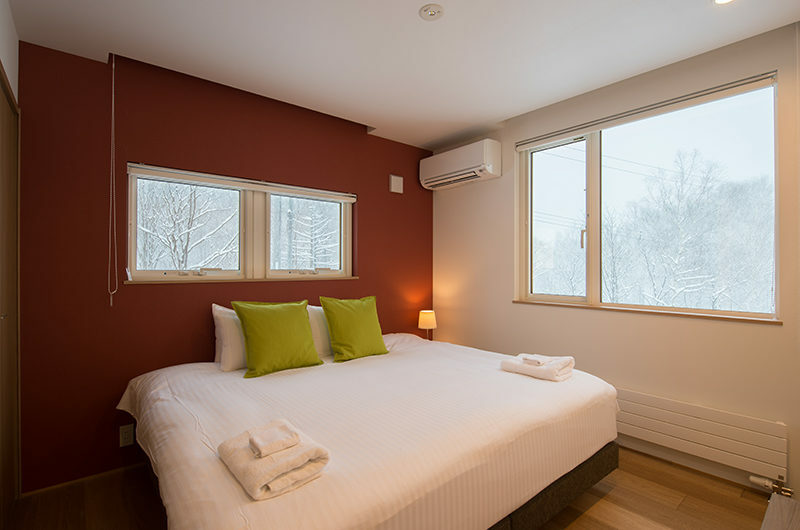 There are a few simple restaurants and cafes within walking distance of the house, including Elements restaurant and bar in the Always Niseko hotel within the enclave, and also a lovely green tea cafe. And just within arm’s reach is Hirafu, the finest aprés ski restaurant and bar scene in all of Japan. 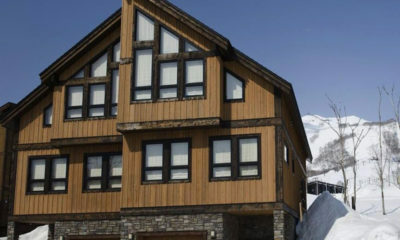 Such a nice house with modern decor, love the garage (save me from clearing the snow every time I started my car), ski room and Japanese style bath. Kitchen is well equipped and we enjoy cooking some meals there during our stay. It’s close to hirafu but do need a car access for staying here though. Spacious common area but would be nice if the bedrooms are slightly bigger. 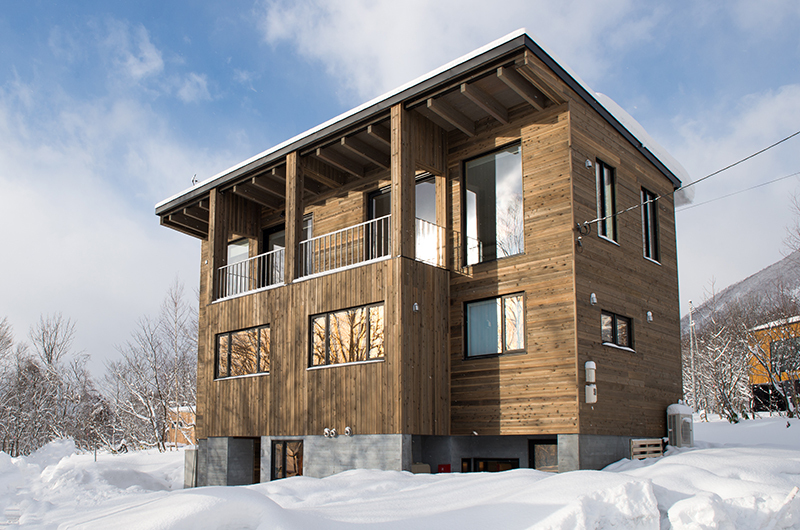 Worth the value and will definitely stay there if we visit Niseko again. A beautifully decorated house, with attention to details. Modern, comfortable, cosy. Love the bose speakers, miele ovens and microwave, heated toilet seats and floor tiles. Very well equipped. 5 min drive to main hirafu. Need car to access. Suggestions for improvements: A lot of snow blocking entrance to garage. Would be useful to have a spade for the snow. Would be a nice touch to have some basic food eg butter, oil, eggs or bread provided for the first 1-2 nights.